Virgin Media has today confirmed our report from last month and said they’re teaming-up with the John Henry Group to trial a new fibre optic based narrow-trenching deployment technology in the large village of Papworth Everard, which resides near the city of Cambridge (England). Locals can expect to receive download speeds of up to 1000Mbps. Currently Papworth Everard has a population of roughly 3,000 and Virgin Media’s infrastructure already passes through the area, although until now locals haven’t been able to directly benefit. Instead most residents have been getting broadband via the remote BT-based Papworth St Agnes exchange and some should just be within reach of FTTC. But the new development, which is trialling narrow-trenching to reduce the width of the trench used to lay fibre optic cables (from 40cm down to just 10cm), means that 100 homes in the village will now be able to order a new Gigabit broadband connection using Fibre-to-the-Home (FTTH) technology. Apparently this trenching method, which sounds a lot like the more familiar “micro-trenching” approach that BTOpenreach and others sometimes use, can cover twice as much ground each day (around 100 metres) and saves roughly 33% on the usual cost of network expansion. It’s of course not the first time that Virgin Media have conducted trials of pure fibre optic connectivity, with their earlier developments in Woolhampton (here) and Crumlin coming to mind. But the former was four years ago and since then Virgin Media has tended to focus on development of their DOCSIS3 (EuroDOCSIS) based hybrid fibre, coax and copper “cable” network. The trial also follows hot on the hells of Virgin Media’s new plan to cover an additional 100,000 premises in East London (here). But at present it’s still too early to say whether the latest trial will result in an expanded deployment of FTTH by Virgin Media. Certainly it seems unlikely that Virgin would move to replace their existing cable infrastructure anytime soon, although FTTH could certainly help to reach new premises. Meanwhile locals can expect to be contacted by Virgin Media sometime “over the coming weeks“. At 100 homes it’s clear that the service won’t reach everybody, but then it is just a trial. A spokesperson for the operator has also advised us that customers in the area will get a slightly different package and price to reflect the new capabilities, which should be unveiled once eligible locals have been contacted. 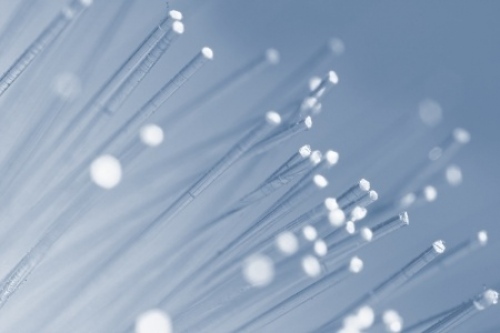 A spokesperson for Virgin Media has confirmed that they also intend to connect the majority of Papworth to their cable network and 152Mbps broadband. 1Gbps v 152Mbps? I would pick FTTH 1Gbps instead of FTTN 152Mbps. Lucky sod these peoples! What was the upload Mark Jackson for Virgin Media FTTH? In theory it could be ‘anything’ – suspect it will be a while before we know, plus, this is only a trial. But with cable easily delivering 12 Meg, VDSL 0.5 to 19.5 Meg and 4G sometimes 30 to 50 Meg upstream, you’d imagine 50Meg+ would be a ‘nice number to pick’. Looking forward to it 🙂 Sign me up. Fantastic news! It isn’t just about the speed, its about getting a decent infrastructure in, and if Virgin can do it then BT should be ashamed of themselves when they already own ducts, poles and wayleaves yet they still keep everyone on old phone lines which means those on long or damaged ones will never get a fit for purpose connection. GO Virgin. Go the extra mile and build a decent network. A bit of competition is just the ticket. Don’t bother with the cities, get out to the villages where they will welcome you with open arms. Even a symmetrical 30meg service if its coming through fibre is a good product, and if its through fibre the speed can be ramped up very easily as the years go by. Even 30meg symmetrical through copper to all the customers is impossible. Despite the millions being poured into it by our feckless civil servants. 50 or 150 even better, and gigabit if/when required. Awesome. Virgin started by hooking up a row of old fogey bungalows. Now that will really push the gigabit limit to the extreme! Those residents are probably still grappling with the idea of new-fangled push button phones. I was surprised how slow the BT connections were there seeing as BT have ‘fibrecabs’ down the main road. Will be fun to see how this one pans out. I signed up in October for the upto 152mbps and get a solid 159mbps. The 1GB trial so far from what I’ve heard got scaled back to a “few houses” but they did get about 880mbps each way but no word on it going to the 100 homes or any further role out plans to take advantage of the fibre I have going to my house which then converts to about 2metres of coax.